A few months ago I wrote a post about books that I found beneficial for new and young investor like myself. Here is the link to that post. In it, I talked about three books that I have read which gave me some good insight on how to start building wealth. There is also a compiled list on the left-hand side under popular post. Today I am going to talk about two new books that I have recently finished in which I found beneficial to my learning. 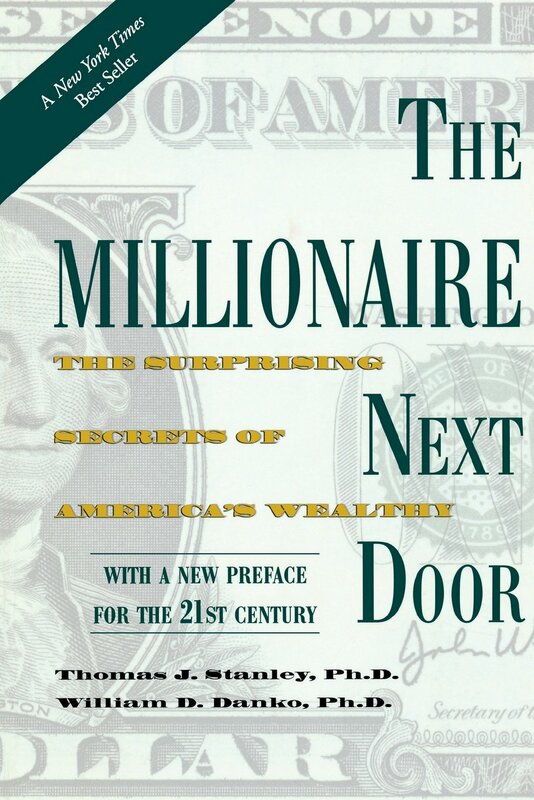 The Millionaire Next Door & The Millionaire Mind The first two book that I am going to discuss are written by a professor named Dr. Stanley. Dr. Stanley did a series of survey on people with net worth of over $1M in the early 90's and he observes that a lot of them possess similar character traits. 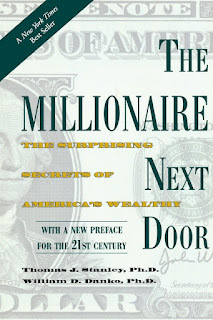 If you only have time to read one book then just read the first one "The Millionaire Next Door". The second book is just an extension to the topic discussed in the first one. What I want to share from the book was how wealthy people spend their money. Basically, the book said that most of the time you would not know someone is a millionaire base on the clothes, car or other materials they own. It basically means that they stereotypical wealthy personality you see on TV is not how real-life millionaire behaves. Most wealthy people work hard for their money so they are very mindful when spending it. If you don't believe me, just watch some video about Warren Buffet, Bill Gate, Mark Zuckerberg and Jeff Bezos, all these people drive relatively humble cars compared to their net worth. Bottom line is, if a person looks rich then they are most likely not that rich. On the topics of cars, Dr. Stanley did a study and found that most millionaires own relatively cheap cars. Also, most of them don't really go shopping for a new car every few years unless needed. Key word in the last sentence is "needed", don't confuse that with "want", "desire" or other similar words. In his study, he even compares the more wealthy to the less wealthy and found that the less wealthy spend more money and shop more often for cars. A story from the book about why wealthy people don't like spending much on cars is as follow. There was a CEO of a company that was well liked by his employee so they all got together to buy him an expensive car. His employee all thought that he will appreciate a luxury car since his current car is considered a poor man's car. This CEO appreciated the gesture but did not really like the car. His reasoning was that he really enjoys fishing and with such a luxury car he won't be able to go fishing with it. He'll also have to spend more money on maintenance and gas for this expensive car. What Dr. Stanley was trying to highlight from this story was the secondary and tertiary spending associated with an expensive item. I'll use a similar example to explain my point, let say you just bought a brand new townhouse in Toronto for $500,000. Will you now go buy cheap $200 futon or a $2000 couch? Do you buy second-hand appliance or brand new appliance? It has been known in behavioral economics that consumer spends in relative term instead of absolute value. That means that people usually have a figure in mind for their budget relative to the purchase price of their house. So in this case, the fact that you spend $500,000 on a house means you will naturally spend more on appliance and furniture. Then now you'll need nice dish and cups to go with the new appliance and so on. Now your original spending of $500,000 has become much more then you anticipated. Most millionaires understand this concept and try to avoid the root causes of spending, which in this case is to spend less on a house. Another interesting concept he discussed in his book was something called "income statement affluent" which is the opposite of another term he used, the "balance sheet affluent". The basic idea is that the income statement affluent are people that have a high income but save very little where the balance sheet affluent are very good savers. His argument was that income has very little influence if someone becomes wealthy or not. For someone to become wealthy you need to be good an offense(earnings) and defense(savings). Which means even if you earn a lot but you spend just as much then you'll never become truly wealthy because one day you'll stop earning.